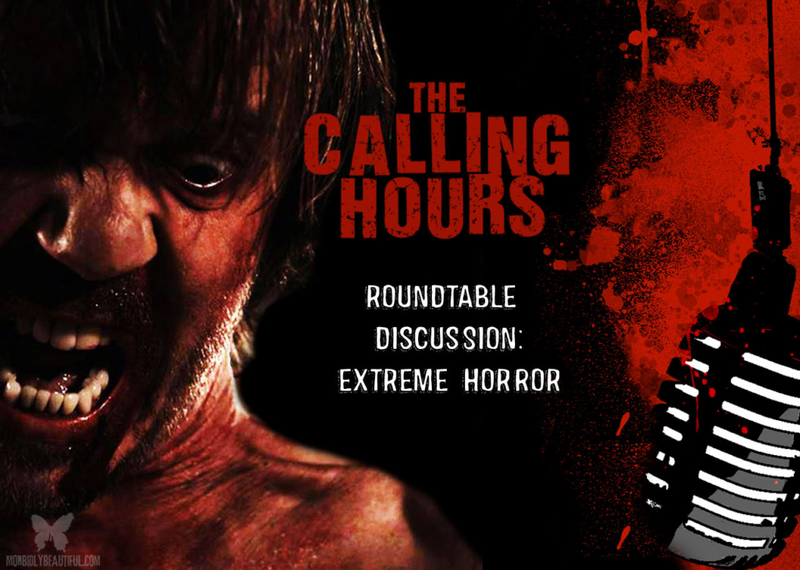 On this episode, I will have the Editor-in-Chief of Morbidly Beautiful Stephanie Malone, Morbidly Beautiful Staff Writer Jamie Marino, and my FX partner Bill Mulligan on as we have a roundtable discussion on extreme horror! In particular, we will be discussing what is meant by the term extreme horror. We’ll also dive into some of the most notorious extreme horror titles out there, why some of us may be drawn to these kind of controversial and boundary-pushing films, and what impact they have on society and viewers. We’ll also explore if there’s ever such a thing as too far when it comes to shocking cinema and how the current climate of political correctness may potentially impact or shape the future of these films. We will not have any Digital Dismemberment Spotlights this week due to the length of the roundtable discussion, but no fear as they will return next week! We will be featuring two bands in our Metal Massacre Spotlights, including the bands AngelCorpse and Devouring Star.